Brigadeiro is heaven on earth. Is the one part of my Brazilian culture I think the world should know about and every person on earth should know how to do it! 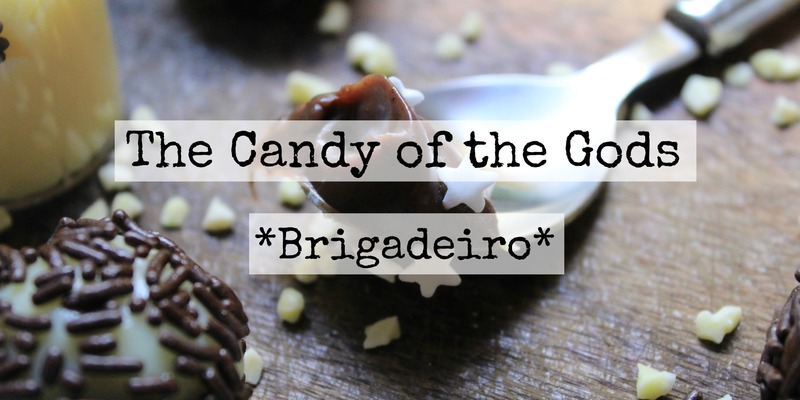 It’s name is said to originate from a tribute made to Brigadeiro (an position in the army) Eduardo Gomes, but nobody actually knows the truth about it. 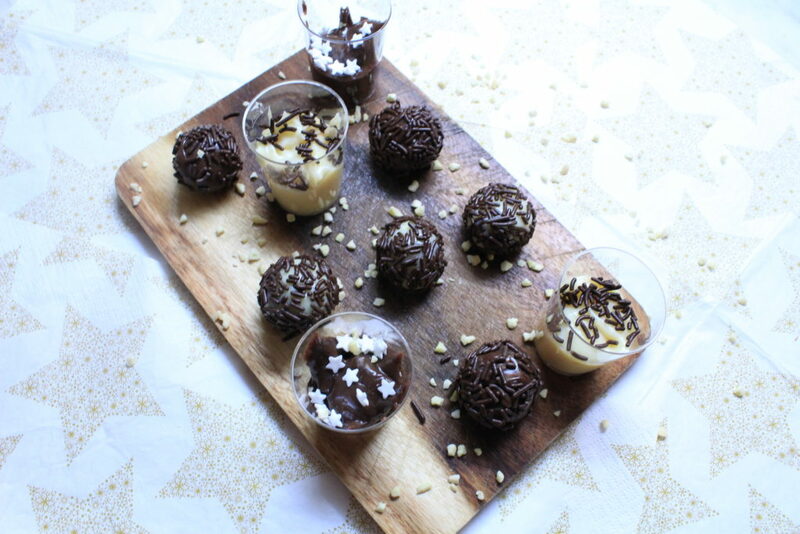 As a girl with severe PMS problems and a crave for sweets, Brigadeiro is the salvation of my days. The recipe is sooooo simple you wouldn’t believe it. Lately it has been Gourmetized with nuts, alcohol and weird stuff, but the original one is, for me, the best. The most amazing thing about this candy is that you can do a lot with it. From little balls covered in sprinkles for a party, in small shot glasses to serve with a spoon, filling or cover for a cake, eat it directly from the pot or put it with ice cream, you decide. 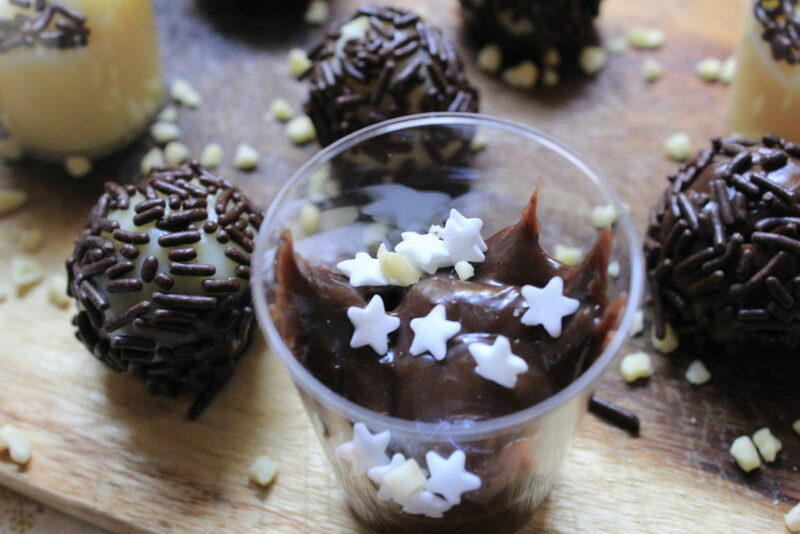 Brigadeiro is your best friend! I will give you the basic recipe for two versions of it: the white and the black one. The only difference between them is the cocoa powder. Said so, you can start doing the white one, and turn half of the recipe into the black one adding the cocoa, then you will have both with one recipe. 3 to 4 tsp of cocoa powder, depending on how strong you like it. Pay attention, if you are doing only half of the recipe black, to also put less cocoa. You can do it in the stove or on the microwave. 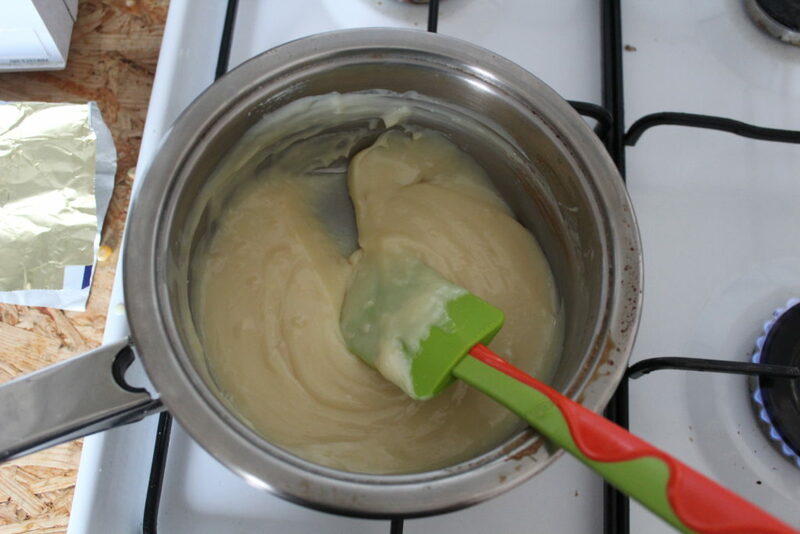 In a pot mix the condensed milk with the butter and cook it in low heat until the point where when you see the bottom of your pan when going through it with a spatula, like in the picture below. It takes around 10 minutes to make it. This is how you know your Brigadeiro is done! If you want to do the black version just add the cocoa powder from the beginning, or in this step, little before it is completely cooked. Mix the butter, condensed milk and cocoa powder on a glass bowl (that can go on the microwave) and cook it in rounds from 2 to 3 minutes in an medium heat, mixing every time in between. The bowl must be really tall as the mixture will grow fast and make a mess if you are not paying attention. To use the Brigadeiro as a filling or cover for a cake, add in a little bit of milk to make it a little bit easier to work with. Like an Yin Yang of the sweet culinary. Present them in small paper forms or on a nice dish and voilá you just made the best candy ever! The most delicious candy on earth! With time (I can assure you you won’t do this recipe just once in your life) you will gain experience and know when the consistence is right or at least the one you like more. 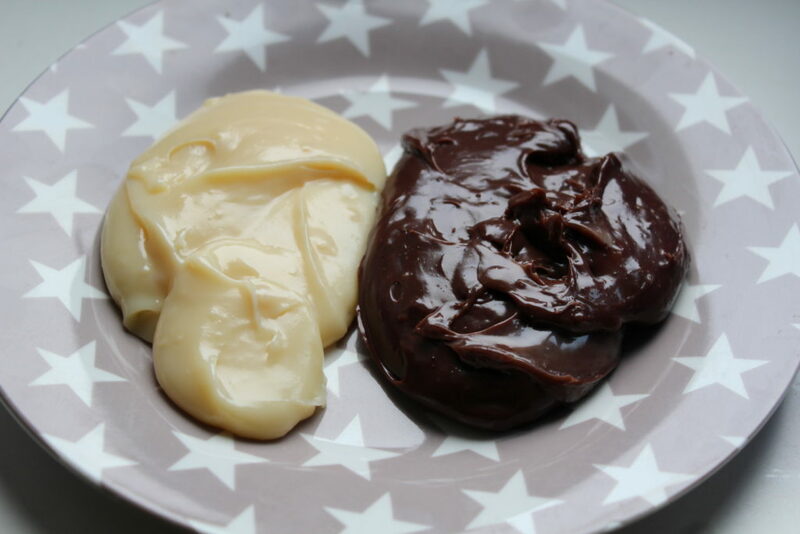 It also goes for the amount of chocolate, if you like it sweeter you can also use sweetened chocolate powder, or even add white chocolate to the white one, it is now at your criteria! Let me know how do you like this recipe and let me see your creations on Instagram adding the #whenyouliveandyoubake and #whenyouliveandyoucook. Welcome to heaven! I am glad it brought you to my favorite recipe! Muito bom Lia. Gastronomia é um pilar muito importante da tradição de qualquer povo. Muito orgulho do nosso brigadeiro. Adoro brigadeiro….tb prefiro o tradicional .